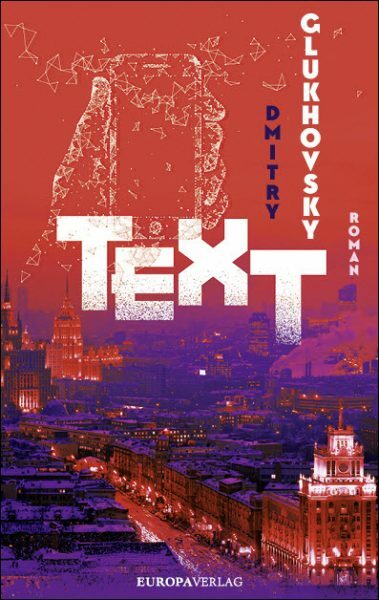 In today’s Russia, ‘one single government-corporation rules and owns the country,’ says Dmitry Glukhovsky, whose new novel ‘Text’ has sold into 14 languages and/or territories to date. It’s optioned or on submission in 16 more countries. The Moscow-born author flew from this year’s Burning Man in Nevada earlier this month to Europe to make appearances in Zurich and elsewhere to promote the German edition launch on September 12 of his latest book, Text (Europa Verlag). 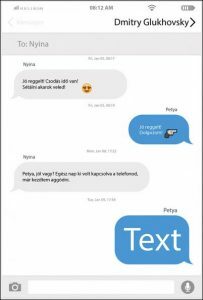 Since its original publication by Russia’s AST in mid-2017, translation rights to Text have already sold into at least 14 languages and/or territories. For better or worse, Glukhovsky shows no fear in addressing the Kremlin and, as he puts it, “the ever-rotting, pretentious, cynical, and proudly immoral caste of Russian rulers. 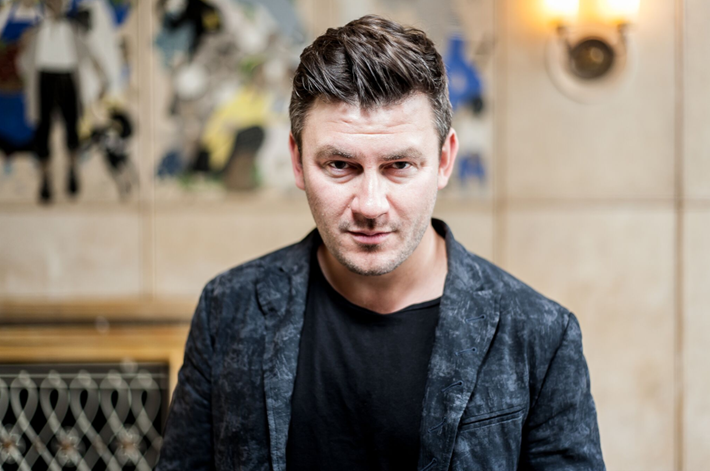 “I believe that we live in truly wonderful times,” Glukhovsky tells us, “wonderful” for the writers willing to see what he defines as “an epoch of not only post-truth but also post-ethic.” It’s a time in which societies, he says, “are re-enacting the biggest traumas of the last century. Dictatorships. Cold War. Fascism. Text opens in 2016 with Ilja’s return to Moscow after seven years of detention. Not only has he suffered arbitrary police brutality and the excesses of a corrupt investigator, but he also has lost everything. A mistake puts him on the receiving end of a dead man’s smartphone: text messages, videos, and calls from his family, his drug accomplices, his girlfriend. Ilja is being drawn into another person’s identity. 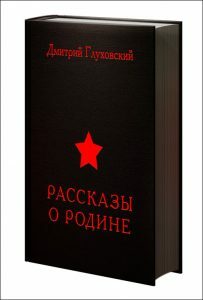 The book is a study of individual powerlessness amid the state’s corruption, a drama about the state’s memories of power relations, and a meditation on the profound influence of prison subculture on Russian mainstream attitudes and politics. Some have compared it to something reminiscent of Dostoevsky’s work in its context of guilt and atonement in a digitally darkening world. “The ruling class” of the Putin era, he says, “is losing touch with the reality. This process is going faster and faster, to the complete amazement of the public. The people deserve something bigger than just propaganda news stories on Russian TV. “Text speaks not only of the total corruption of Russian law-enforcement, but also of the arrival of a two-caste system within the Russian society. There’s a caste of people who are ‘the system’ or who serve it: officials, police and special services, the MPs—but also propaganda journalists, organized crime kingpins, and even church leadership. In Putin’s Russia, all of these institutions are just departments of one single government-corporation that rules and owns the country. “Other, simpler people are like serfs in the old times. Let alone privileges, these ‘serfs’ don’t have any guarantees of such basic human rights as freedom, property, or even life. “Where does this relapse into imperialism come from, why are we starting wars in our former domains, why are we interfering in your politics, why do we consistently choose a strong hand for ourselves – a hand we seek to shyly stroke only to cower when it is raised above us? And when he swings around in today’s Red Square, Glukhovsky pulls no punches. “How could we not recognize that you have it better, and that it is far preferable to work with you than against you? We do recognize it. That’s the worst thing. In an open world in which we can compare everything with everything else, a world in which people are constantly asking why they are worse off than their neighbors, the government must be extremely careful in formulating its explanations and justifications. Following the appearance of his piece at Die Zeit, reactions from fellow Russians, Glukhovsky says, have been mixed. “Some of them were denying they had any complexes, of course,” he tells Publishing Perspectives, “and accusing me of telling Westerners what Westerners wanted to hear. We long for the times of our past greatness and yet are unable to recognize that our present looks pitiful. We can’t admit Russia was and still is a colonial empire with its colonies simply sticking to its borders—because in the communist mythology, Russia was liberating colonies of the Western powers, and it was a good thing—but we long for the imperial grandeur. “We can’t admit we’re backward and we’re borrowing constantly the technologies and the lifestyle from the West, which only increases our frustration. 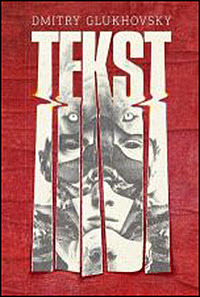 While both Text and Tales of the Motherland have yet to be translated to English, Glukhovsky’s better-known and most popular work, the Metro saga, began with his first book, Metro 2033, which he self-published on his website in 2002. 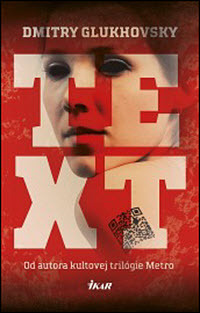 The book was developed into a video game and has been translated into 37 languages, with more than 3 million copies sold. In February, the Metro Exodus PC game is to be released, and other authors now are creating new content in the The Universe of Metro 2033 franchise, which saw 70 books published by October 2015. Glukhovsky graduated from Jerusalem’s Hebrew University and worked as a television journalist in France and Russia, as well as doing reporting for the national radio outlets of both Germany and Israel. He speaks six languages and splits his time between Moscow and Barcelona. And what does the Russian government say about Glukhovsky’s new political direction in his work? “I try to stay as far as possible from Russian officials,” he says. “After my book of satirical political stories, Tales of the Motherland, was released in Russia, they tried to tame me, inviting me to presidential meetings with artists and writers, and I even once was invited to join the presidential council for culture. But there’s a line by a Russian classical poet, saying ‘May we be saved from that which is worse than any misfortune—the lord’s ire and the lord’s love.’ So I never answered those calls. National Public Radio’s Scott Neuman in the States is reporting on Monday (September 17) that Versilov has been flown to Berlin for treatment. And Serebrennikov was ordered last week to remain in detention until at least October 19,after more than a year under house arrest, per a report from Radio Free Europe. Despite these cases, Glukhovsky says he has little fear in writing what he does. “The truth is,” he says, “the Russian regime doesn’t consider literature as too influential a medium. The bestselling books in Russia can only boast 100,000 sold copies per year. Their impact can’t be compared to that of politically charged talk shows, bluntly used to manipulate and construct the public opinion on the most crucial issues of the agenda—or to distract public attention from those. These shows have a daily audience of dozens of millions of spectators, and they’re being used to brainwash them remorselessly. To our question about whether publishers in Russia may be pressured for carrying his work, Glukhovsky says he’s wary. 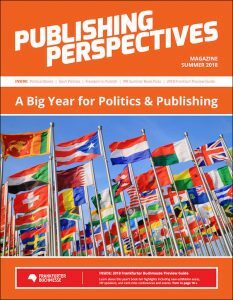 More from Publishing Perspectives on the Russian market is here. And on Frankfurt Book Fair, here.